With Rangers securing the services of new goalkeeper Maciej Gostomski from Polish cracks Lech Poznan and creative attacker Harry Forrester from Doncaster Rovers, the question of existing goalkeeper Cammy Bell and winger David Templeton’s futures must be raised. Instant reaction from fans on the signing of the giant Gostomski has been to effectively dismiss former Killie ‘keeper Bell as having any kind of role on the road ahead for Rangers, and it is hard to argue with that. Bell has been lukewarm at Ibrox since his arrival from the SPL, and his time between the sticks will always be (maybe unfairly) punctuated by that disaster at Fir Park. Even so, his injury problems since moving to Govan have further hampered any chance he ever had of truly establishing his worth to the team, and deputies Steve Simonsen and Lee Robinson found themselves called upon far more than they would have expected. Bell has played absolutely no role under Mark Warburton, other than some training, failing to make the reckoning on any match day squad, and still being apparently blighted by injury. It does seem though that Warbs’ patience with the one-time Scotland cap has run out, hence the acquisition of the 27-year old Maciej, and he has clearly brought him in to restore Liam Kelly to the unders and provide Wes Foderingham with serious competition. Something Bell just cannot provide. As for Templeton? Forrester is not strictly just a winger, but his signing does signal yet another blow to hopes Temps may have of getting back into the picture at Ibrox. 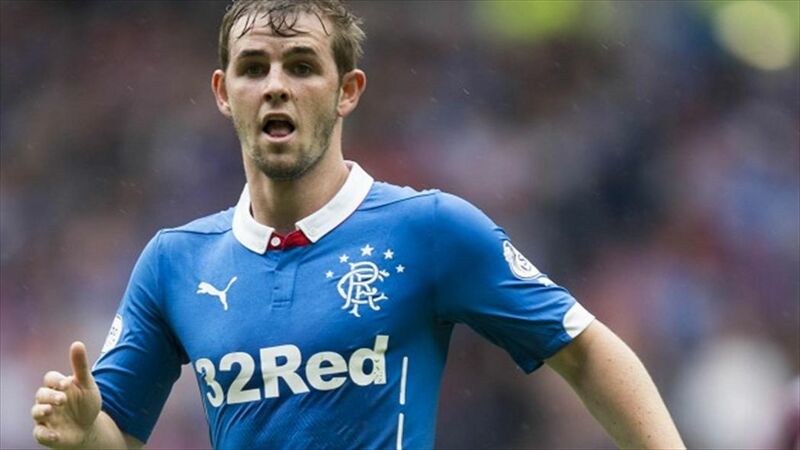 Another one plagued by injuries, Templeton has seen his time with Rangers dogged by inconsistency and ailments, and has been out since September – he has at least appeared for Warburton’s Rangers, but with the signature of Forrester and Nathan Oduwa currently in the squad, Templeton’s opportunities now seem extremely restricted even if he were fit. Templeton's contract expires this summer, and if he remains beyond the January window, there is next to no chance of that deal being renewed, while Bell's deal runs to summer 2017 and he would have to be sold or mutually terminated. I think almost all of the Rangers fringe men will be out the door before the end of the season. Bell,Law,Aird,Templeton and Clark. Personally I like Clark and hope he gets his chance to stay. 10 games running and he could hit some form. Other than that I wouldn't miss anyone but it goes to show we dont have much in the way of reserves and a lot of the squad are on loan. Hopefully we get a few more in. I like Clark but he just doesnt score enough and misses some sitters, Kenny Miller does miss sitters too but he's putting a few away. As for Law he's a weird one, he has been playing well recently but does tend to go missing. Keep Sheils and Law and do away with the rest. That is of course unless we bring in some solid replacements and they can be thanked for their time and be on their way. Law has brung some balance to the defensive midfield since he's been fit. Would like to see him stay beyond this season. Bell does seem to be gone with new goalie signed. Aird, bit inconsistent and ability at top level unsure. Templeton if fit could do a job for us. Player that needs confidence and a run of games to be an asset. Clark I like too. Bit of a poacher type player. Again needs games but up against waghorn! I like Clark's attitude and commitment but doesn't score enough I would thank him for his efforts and let him go Bell has never really convinced. Same goes for Aird.Templeton could make a contribution under Warburton but injury prone.